Singapore—Following sold out crowds that filled the Dubai Media City Amphitheater in 2017 and the Mubadala Arena, Zayed Sports City in Abu Dhabi, UAE in 2018, the organizers of One Music X—or simply, 1MX—are now bringing the exciting music festival headlined by the hottest Filipino music artists to Singapore, Asia’s renowned music festival hub. 1MX in Singapore will take place at the SCAPE Playspace, the heartbeat of youth culture in Singapore on May 26. With the goal of bringing to the international stage the world-class talent of Filipino music artists, ABS-CBN launched 1MX in 2017 through the meeting of minds of the biggest brands in the Philippine music industry: record label Star Music, FM radio station MOR 101.9 For Life!, music channel Myx Philippines, OPM music portal One Music PH, and the global multiplatform media hub for Filipino news and entertainment—The Filipino Channel (TFC). Asia’s music festival hub, Singapore, will get lit once more with dynamic Filipino headliners including KZ Tandingan, Darren Espanto, Bugoy Drilon, and Jayda Avanzado, performing at the SCAPE Playspace on May 26. Making a spectacular debut in Singapore are the following headliners: folk-pop band Ben & Ben whose singles are topping different music charts; ballad-RnB-reggae artist Bugoy Drilon whose talent got the attention of the acclaimed Jewish-American reggae rapper icon Matisyahu; young performer Darren Espanto whose voice was described as “incredible” by rap superstar Nicki Minaj; and KZ Tandingan who magnificently represented Philippines in China’s talent show Singer 2018. 1MX in Singapore also has the special participation of up-and-coming pop singer-songwriter Jayda Avanzado. Aside from good music, a variety of delightfully interesting food choices and overflowing drinks will be served all night long from the different food and drink booths inside the venue. 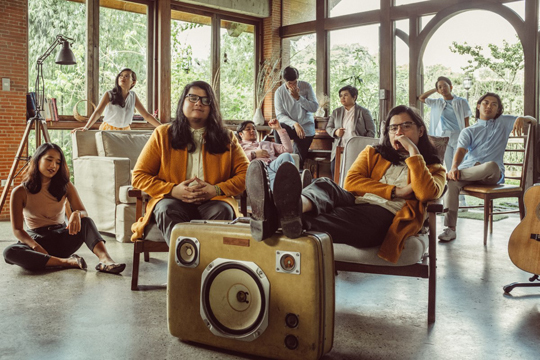 Folk-pop band Ben & Ben joins the country's top solo acts that will enliven the stage of the well-rounded music fest. Take advantage of the Early Bird ticket promo. Buy a VIP ticket now at 128 SGD and get a loot bag with 1MX Singapore limited edition bag and shirt, plus food and drink voucher. You can buy Patron ticket for only 68 SGD and save as much as 20 USD, and buy the General Admission ticket for only 48 SGD and save as much as 10 SGD. The Early Bird promo runs until tomorrow, March 31. For more details about 1MX in Singapore, visit facebook.com/TFCSingaporefacebook.com/TFCSingapore. Connect with fellow global Kapamilyas and follow @KapamilyaTFC and KapamilyaGlobalPR on Twitter and Instagram.